Where are my reference points? Get the measures right for fracture classification. What's in the image? Let the software fill in the missing pieces and track the fracture lines. What will happen with this fracture? Let the modelling software tell you. 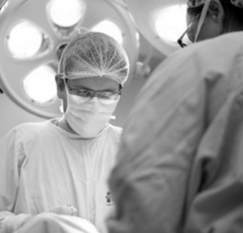 ​In wrist fractures, a thorough clinical examination is important. Reliable diagnostics are needed to make a well-founded decision about whether to operate or not. For pre-operative diagnostics, great demands are put on the accuracy of the data, and on getting detailed information about the bone structures. Today, measuring critical parameters requires manual work and is subject to measurement error due to inconsistent reference points and lack of 3-dimensional measurement methods. The analysis typically lacks the possibility to analyze fracture behavior under mechanical loading. 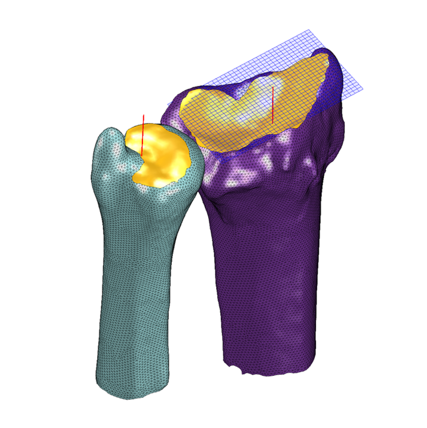 ​Disior modelling technology takes the next step from manual measuring of the radius and ulna. The software algorithms track the area of interest for you, and use pre-set values and reference points for consistent, automated measuring of key parameters. The method can be used to understand how the system behaves under mechanical loads.